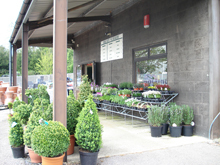 Our shop stands near the entrance of the nursery and we are conscious of stocking only goods associated with the garden, for the avid gardener. This includes tools by Wolf, Felco, Bahco and Spear and Jackson. Johnsons (Mr Fothergills) vegetable and flower seeds. 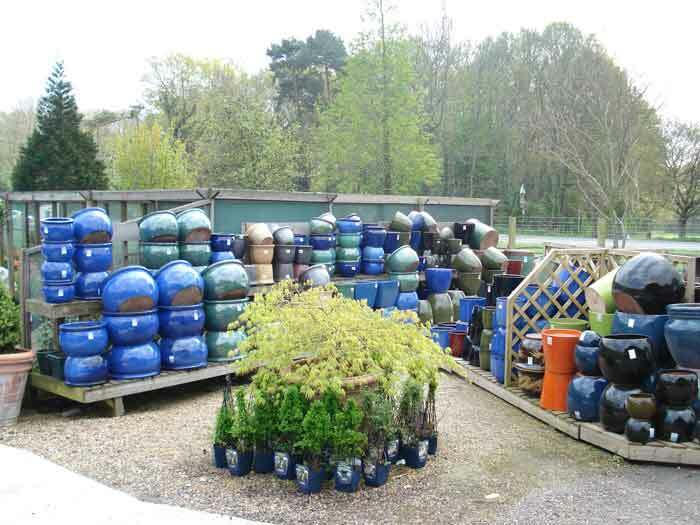 A wide range of different fertilisers, weed and pest control, grass seed, wheelbarrows etc. 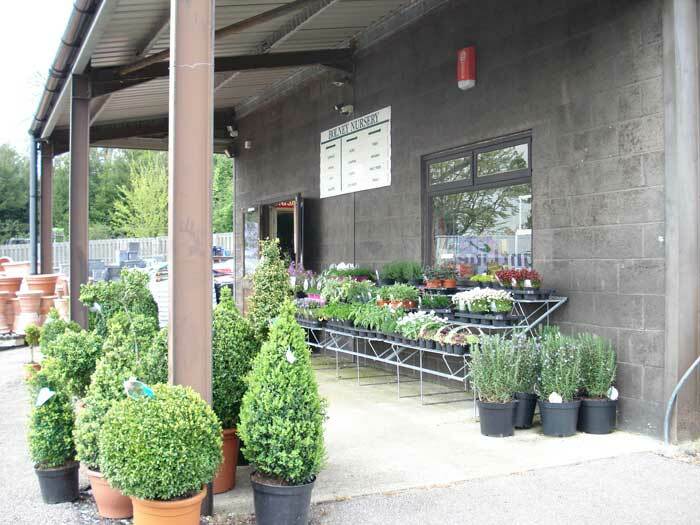 At Christmas we produce our own range of table decorations and door wreaths with a large percentage of the fresh foliage taken from the nursery site. Only fresh Christmas trees are available. 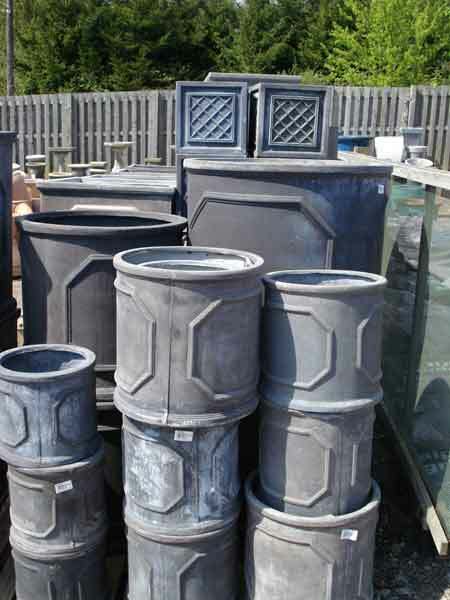 Compost is available from the J. Arthur Bowers range and includes everything from a small bag of orchid compost to a large bale of bark. 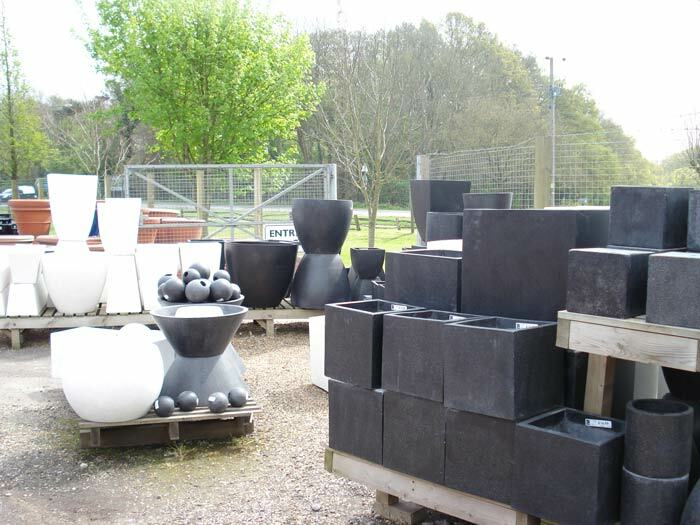 We are one of the few places in the country that stocks white terrazzo along with the black. 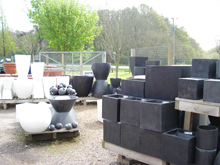 We stock most shapes and sizes in both colours. 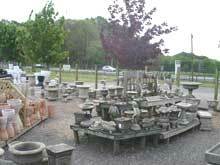 A large traditional selection of Italian pots is available from the Tuscany and Venetian regions of Italy. 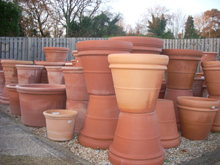 They range from the small standard flower pot up to a 1.1m wide large pot. 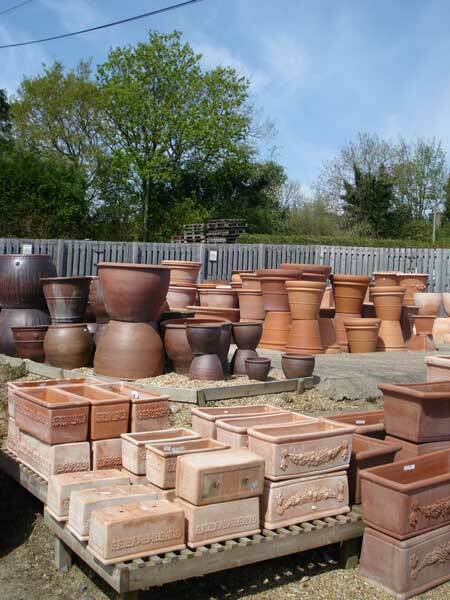 Also available are a selection of WOODLODGE pots in glazed, terracotta and the popular Fibreclay.